To mark the 100th anniversary of the founding of the first Republic of Armenia, the Armenian Revolutionary Federation (ARF), Western United States (ARF-WUS), in collaboration with the Cal State Northridge Armenian Studies Program, has organized a two-day academic conference, “Armenian Statehood Reborn: Achievements and Reflections," to take place on May 5 and May 6, 2018, at the Plaza del Sol Hall, on the campus of CSU Northridge. The conference will feature an in-depth and multifaceted examination of the re-emergence of Armenian statehood in 1918-1920. Renowned scholars from across the world will provide original interpretations of the political, social, economic, and cultural factors that shaped the history of the first Armenian Republic. This event will mark the momentous occasion by analyzing the far-reaching and significant impact of the First Republic. You input is valuable to us. Thank you for your inquiry. We look forward to getting back to you shortly. This conference is free and open to all community members. Seating is limited. Please arrive early. 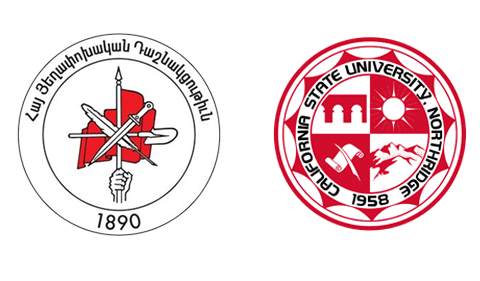 Thank you for signing up for information on future events and activities of the Armenian Revolutionary Federation - Western United States. We aim to serve the needs of our community and homeland and appreciate your interest. Copyright © 2018 Armenian Revolutionary Federation-Western United States. All rights reserved.